Oakleys Law is able to advise you on how best to ensure that your will and powers of attorney meet your requirements – both now and into the future. 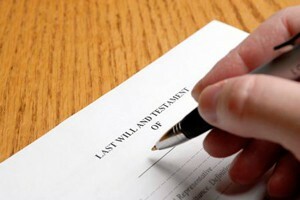 All our lawyers can assist you with your will and powers of attorney. Your will governs the distribution of your property after death. Having a will gives you greater control over who will receive your property, so that it goes to those individuals or causes that you care about. Oakleys Law can assist you to anticipate the future needs of those close to you and ensure they are provided for where necessary. By making an enduring power of attorney (financial), you authorise your attorney to act for you if you lose capacity to make decisions for yourself. It is useful as a means of ensuring that someone, chosen by you, takes control of your financial and legal affairs if and when you are ever unable to do so yourself. An enduring power of attorney (financial) cannot be used to make medical treatment or lifestyle decisions. Our office can advise you on the documents necessary to address these separate matters. When you make an enduring power of attorney (medical treatment), you appoint a person to make medical treatment decisions for you, but only in the event that you lose the capacity to do so. You could lose the capacity to make decisions permanently, such as through dementia or an acquired brain injury from a car accident, or temporarily, by becoming unconscious as a result of an illness. Having this document enables you to have control over who will make decisions on your behalf if you are ever unable to do so yourself.